With EU crisis risk considered minimal in the coming weeks, the fiscal cliff negotiations present the biggest new recession threat to the US and thus global economy. With less than 3 working weeks left, markets still expect a last minute deal that defers most of the pain, and deficit cutting. That’s the main reason why risk assets have held their ground. To the extent that anything weakens that hope, we will an equally sharp selloff, compounded by extra yearend profit taking before capital gains and dividend taxes (which hurt dividend stock prices) hit. Per UBS’s Art Cashin, the earliest hint of trouble could come from news that the Treasury Department is issuing new payroll withholding schedules. So far, there are no changes, suggesting the Treasury still believes a deal will happen that avoids raising payroll taxes. Stay tuned. Disappointment over the risk of all that austerity hitting the US could spike Spain bond yields, which sets up yet another EU inspired market crash scenario, as we noted earlier here. That added hit to the US economy could in turn influence Fed policy as follows…. If there is no change in sentiment about the fiscal cliff deal (that is, no deal yet but firm belief a last minute accord will happen) or surprises from the EU, then the FOMC press conference Wednesday following its quarterly policy meeting that day. Weak growth combined with fiscal cliff should keep the FOMC meeting results decidedly dovish next week. The consensus view is that the FOMC will expand QE3 to make up for the expiration of Operation Twist as of the year’s end. The market expects new purchases of ~$25-45 bln per month. The Fed might even opt for a larger expansion of monthly purchases, especially if a fiscal cliff deal seems unlikely and it wants to counter the bearish effects of that added drag on the economy. 3. EUROPEAN COUNCIL MEETING HINTS ON ECB EASING? After last week’s hints of a coming ECB rate cut, this meeting may provide further clarification and update market expectations. Remember that the EUR and USD drive each other in opposite directions. Therefore, if expectations are raised, that’s good for risk assets, except for the EUR, and also would also hurt safe haven assets, except for the USD. If the opposite occurs, expect the opposite kind of results, with an unusual rise in both the EUR and most safe haven assets, again except for the USD. Here too, if there are rising fears of the full austerity package of the fiscal cliff taking effect in the US, the resulting risk off sentiment could force the EU into raising rate cut hopes to counter those fears and keep Spain bond yields from spiking. Greece is expected to borrow 10 bln Euros in order to buy back about 30 bln par value of bonds, its second de facto default that dodges CDS default insurance because it’s considered technically voluntary. This is of course complete fiction, but instructive fiction, because, like the elimination of mark-to-market accounting in the US, it suggests that investors must expect more outright theft when its deemed necessary for the greater good. Take note. As of this writing, it’s is expected to be enough interest to make this happen. If so, that would in turn allow the EU to release the next tranche of cash to Greece so it can pay off bonds owned by assorted banks and avoid yet another default threat. If there’s a hitch, expect the usual brief selloff before someone lends Greece yet more money it can’t repay, and so defer the ultimate default, which will now be larger still. German ZEW business sentiment Tuesday, and on Friday both German and French flash manufacturing and services PMIs that complete our latest look at the health of the EU’s core nations. As we noted in our review of last week’s market action (see here), most markets are hitting firm resistance levels as they remain near decade highs despite unresolved debt crises throughout the developed world and continued recession through at least the first half of 2013. That combination of resistance and medium term bearish fundamentals makes markets vulnerable to selloffs without some supporting good news. Once again, without real growth and wealth creation on the scene, the likely source of such news is yet more easing, spending, and rising deficits. These are temporary band aids that defer the austerity measures and reduction in growth) needed to cut debt. They will have to end, and they only buy time at a cost of a bigger future bill to be paid, with bigger spending cuts and/or tax increases). It will hurt, and the only question is, who takes the most pain. The answers to that question will be settled by politicians. Who Wants To Be Bernanke’s Patsy? However we already know one group that will be paying heavily – anyone who is holding USD, EUR, JPY, or GBP over the coming decades, as ongoing forms of money printing debase these currencies relative to both hard assets and more responsibly managed currencies. Their coming decline is not some wild speculation. For example, it’s been a reality for those based in US dollars for decades. See 7 CHARTS TELL WHY WE ALL NEED CURRENCY DIVERSIFICATION for details. Even if you earn and spend in only one currency, if it’s being weakened, it’s taking you down with it (unless you don’t consume food, energy, or anything else using inputs linked to global markets). If you have most of your assets denominated in or linked to one or more of these currencies, then you have a choice, either diversify out of them or continue to let your central bankers take your money. Until recently, lay investors seeking practical ways to get that currency diversification had a hard time finding solutions. 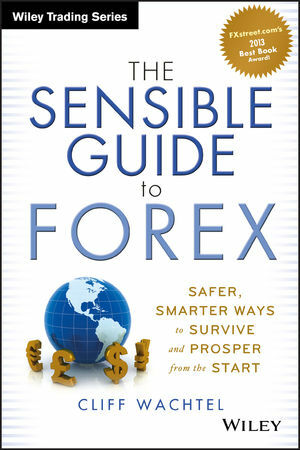 Most forex trading guides focus on high risk, demanding styles of short term trading. Most guides to international investing focus on the fundamental and technical picture of a specific asset without considering the currency to which it is tied. If that currency depreciates by 10%, your investment needs to appreciate 10% just to stay even. See here for information about the most updated collection of a range of sensible solutions for both investors and traders that fit a variety of needs. The Greek bond buyback, as noted above, is the second de facto default by which CDS default insurance holders were cheated via a technicality. The last time that happened, GIIPS bonds sold off on the recognition of this greater risk of loss. Will the ECB’s commitment to buy unlimited bonds via its OMT program prevent a repeat of this spike in yields and a new bout of EU crisis? Let’s hope so, because Spain has about 20 bln EUR to sell before the end of January, and any spike in its bond yields sets up yet another potential Spain solvency risk, as we discussed previously here.